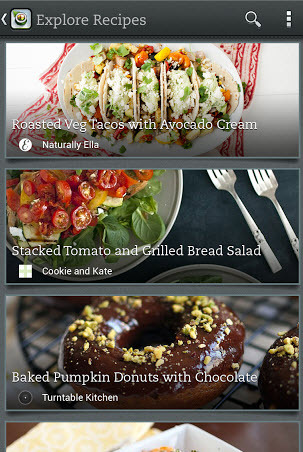 Evernote Food 2.0 is now available for download.What’s new in this release? Explore Recipes – browse, search, and save. Restaurants – A location-based list and map view of restaurants. My Meals – A photographic of your past meals and food adventures.